Attunement to Reiki 1 opens the student’s Reiki channel and enables the Reiki to flow. Reiki 1 is intended for self-healing and for use on family and friends rather than professional practice. We will cover what reiki is, and is not; how it works; hand placements; healing responses. Attunement to Reiki Level 1 enables you to begin to understand your energetic self in a more indepth and personal way, as well as understanding energy – both yours, others and Reiki – as a multidimensional channel. Attunement to Reiki 2 opens the channel still further and generally strengthens and develops the flow of Reiki. The student is given three of the Reiki symbols, each with specific properties which enhance Reiki and also enable the student’s experience of Reiki to grow and develop. Health & safety and professional practice will also be covered as part of Reiki 2 training. A portfolio and case studies will require completion. Although Level 2 is considered to be practitioner level, I would always urge you to allow yourself to be drawn to practising when the time ‘feels’ right – some people work with Level 2 for several months before being drawn to actually practising professionally. Reiki 3 can be taken in two stages: Master Practitioner and Master Teacher. Master Practitioner involves a further attunement and a further symbol. Reiki is enhanced on a personal level. Master Teacher involves learning and being able to attune others to the sacred Reiki energy. My personal preference is to take Reiki Master as one module – if you wish to become a master of the Reiki energy then I would advise you to embrace the whole aspect of Mastership. I personally would suggest that Reiki Mastership is only something you need do if you feel drawn to passing on Reiki others (i.e. to attune and teach Reiki yourself). 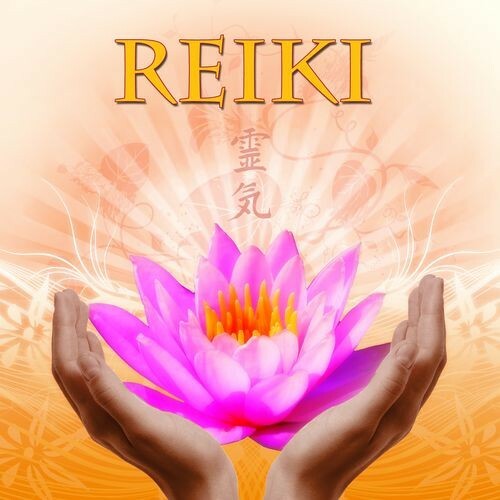 Reiki 3/Mastership was split into two parts primarily to take into account the changing views of insurers of complementary therapies, some of whom are now requesting that Reiki Practitioners have achieved Reiki 3 before they are eligible for insurance. However, Reiki 2 is still an acceptable level by many insurers and therefore it is not always necessary to take Reiki to Mastership level purely for practice rather than for attuning unless you feel that it is something you would very much like to do. Attunements in Reiki 1 and Reiki 2 are one and half days with Reiki Master Practitioner as a 1 day course, with the option of a further 2 days if you do wish to take the Mastership onto Master Teacher. With all levels, support and encouragement are provided through the journey and not just on the actual course days themselves. It is anticipated that the journey through Reiki Level 2, from course to completion of work, will take some weeks. With Mastership, students will generally work with the energy – through themselves, case studies, clients etc for a number of months before attaining Mastership feels complete although you will receive your certificate once your case studies and portfolio are complete but you will work with me until you feel comfortable, confident and ready to attune your own Reiki students. Reiki is a very personal journey – always ask questions, allow yourself to feel what is ‘right’ for you. Challenge your tutor and both yours and their understanding to ensure that you are recieving the guidance that is right for you. Every Master works and teaches slightly differently – with Reiki it is important to feel in tune with tutor who is supporting your journey. Reiki One £100 with a deposit of £25.00 payable when booking; the balance due on the course day. Reiki Two £100 with a deposit of £25.00 payable when booking; the balance due on the course day. Reiki Three – Master Practitioner: £150*, with a deposit of £50.00 payable when booking and the balance due on the course day. *If you wish to take your Reiki Master Level as one course rather than as two individual levels, the investment is £400.